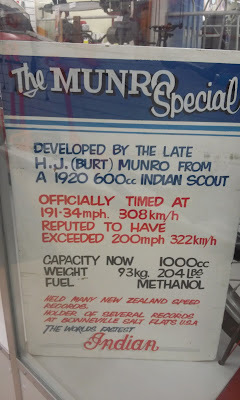 Our first stop in Invercargill was to the E Hayes Hardware Store which has an excellent display of historic motor bikes. 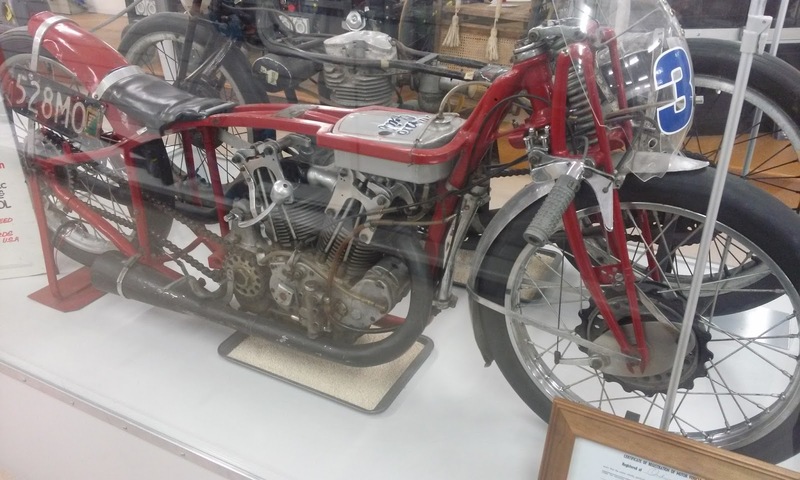 Of course the most famous is the Burt Munro Indian motorcycle as seen in the 2005 movie The World’s Fastest Indian, starring Sir Anthony Hopkins. It still holds the world record for the fastest land speed (under 1000cc). Our walk through Queen’s Park Gardens took much longer than we anticipated. Not only are there 24 hectares of flowers and rose gardens, but huge aviaries and even an animal enclosure – as well as a golf course and rotunda, etc. 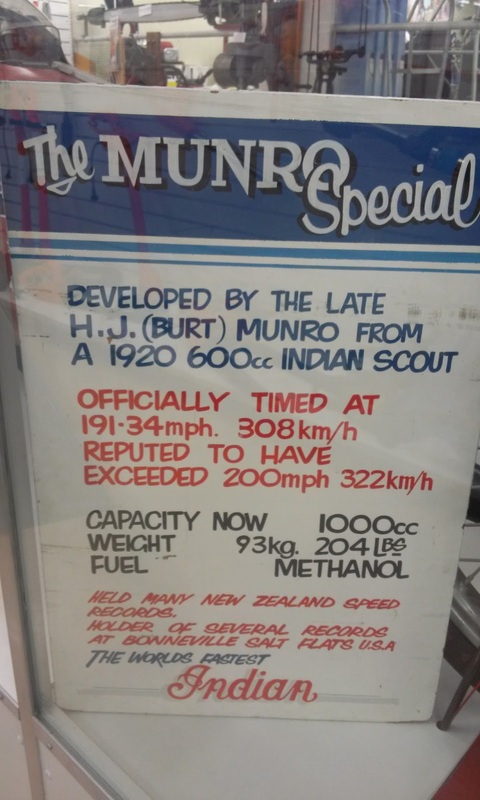 And then of course there is the adjacent Southland Museum and Art Gallery which has interesting history and nature displays including the world’s largest public exhibit of New Zealand Tuatara. They might look like lizards but they are actually descended from the dinosaurs and flourished some 200 million years ago. Their oldest inmate is Henry, at over 110 years old! From Invercargill we drove towards the Fiordland, through some of the most magnificent scenery we have ever seen to Te Anau, via the beautiful Manapouri Lake. Te Anau is the stepping off point for Milford Sound but time didn’t permit us the luxury of the 100km drive there and back, so its just as well we will see it on our upcoming cruise. We could have stayed in Te Anau for a few days of pure relaxation, but the west coast was calling. We then headed to the very famous Queenstown with its multi-million dollar homes and hotels overlooking Lake Wakatipu. It is much bigger than we had imagined and we spent hours wandering along the shoreline and through the Botanical Gardens to take in the views, followed by lunch in the main city centre Mall. Late in the afternoon we drove a few kilometres out to historic Arrowtown and enjoyed enormous icecreams in this quaint little village. Queenstown is definitely a place to return to. From Queenstown we drove further north to Franz Josef with the hopes of seeing the famous glacier. However, as we ventured on, the cloud cover became thicker until it was heavy fog and we weren't able - on either of the two days we were there - to see the glacier. A great pity and instead we enjoyed some good food and wine! Our final stop on the west coast was Greymouth in the mining belt, and the place from which we would take the Tranzalpine Railway back to Christchurch. After booking in to our hotel we drove to the station to confirm our booking and were devastated to discover the train was cancelled due to a fire on the line which had destroyed signs and even a bridge pylon. South of Greymouth is the historic village of Shantytown, a smaller version of Ballarat’s Sovereign Hill. We spent a few hours there; took a steam train ride, watched a holographic presentation about the area’s murderous past and wandered through the replica buildings. There was plenty of wildlife around - local hens, ducks and the Weka, another of New Zealand's flightless birds, that congregate near the steam train in search of food. Our adopted Kiwi, Kai - a first class navigator! The next morning we left Greymouth, by car, and drove the 236 kms back to Christchurch via Arthur’s Pass, over an incredible viaduct and past some magnificent snow-capped mountains. Viaduct - what an amazing feat of engineering! Hi Penny and Jim, loving your accounts. Dear old Burt Monroe holds a special place in my heart. I was given, and watched, the Anthony Hopkins movie whilst I was recovering in hospital after my motorbike accident. I didn't know the story, but it helped inspire me to get back on the bike. And Hopkins did such a fantastic job in the role, for a low budget Kiwi movie. Love Kai as well. We should also get a mascot. Safe travels. Kai's about to get a mate because I feel he needs kiwi company. We always 'adopt' a smallish mascot (or two) when we travel! Very much like Tassie in parts but even more spectacular in others! When we finally can afford to get back to NZ I will be referring to your blog for places to visit.